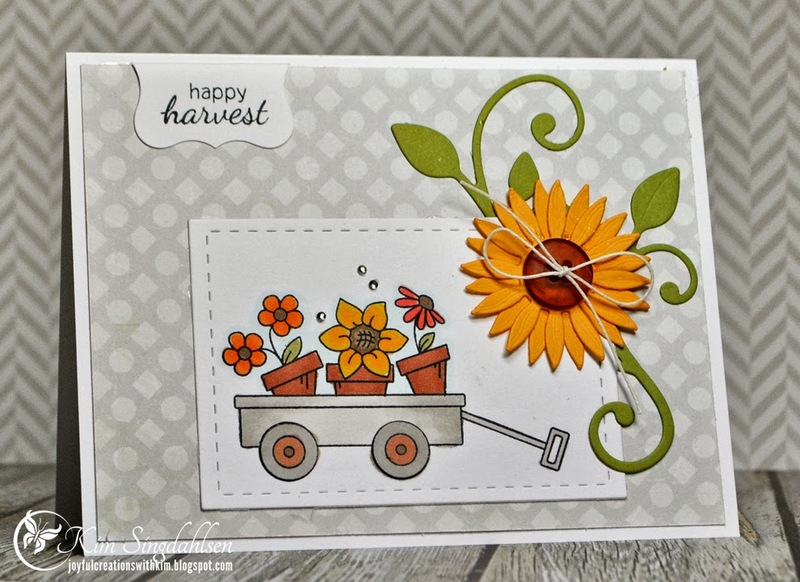 Newton's Nook Designs: Happy Harvest Card by Kim Singdahlsen! I was just about to head to work, when your post popped up and WOW! Kim's card is sending me off with a smile! LOVE what she's done with your amazing stamps! Inspiration, plus!! Thanks for bringing such day-brightening creations to us!! Have a great Tuesday, Jen!! Oh pretty, pretty card Kim!